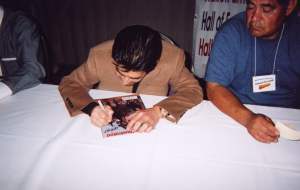 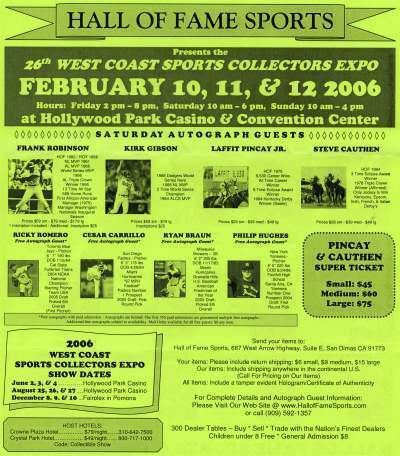 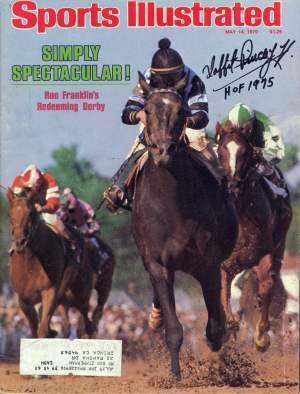 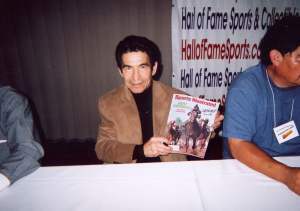 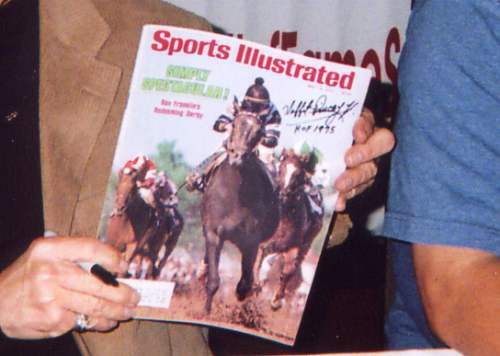 Laffit Pincay, Jr. signed for me at the Hall of Fame Sports show at the Hollywood Park Casino Show on February 11, 2006. 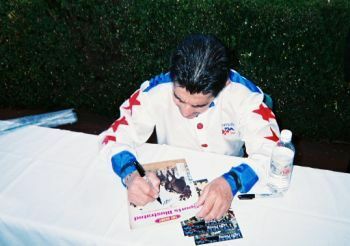 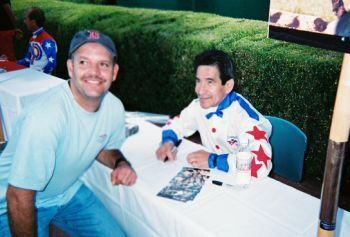 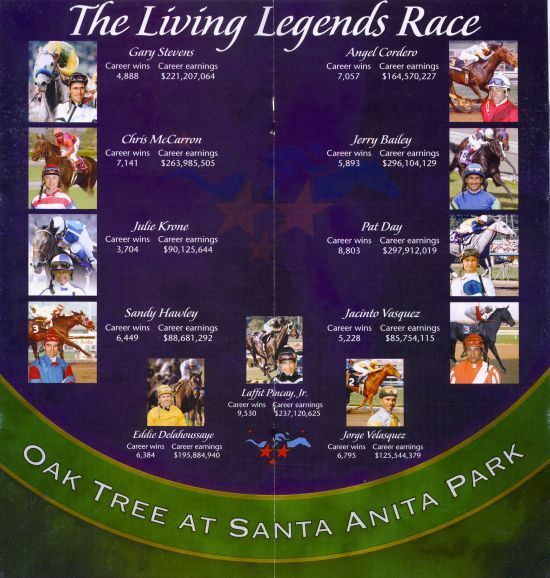 Laffit Pincay, Jr. signed a second time for me at the 2008 Legends Race in Arcadia, CA at the Santa Anita Race Track on October 18, 2008. 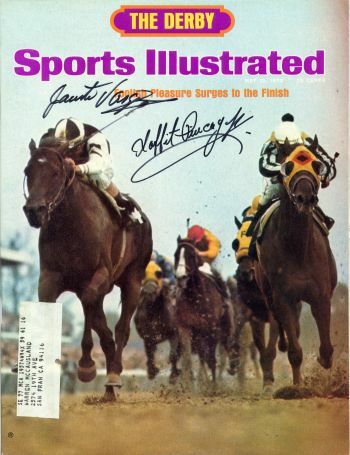 Laffit is on the third place horse with a yellow face cover right behind Willie Shoemaker.